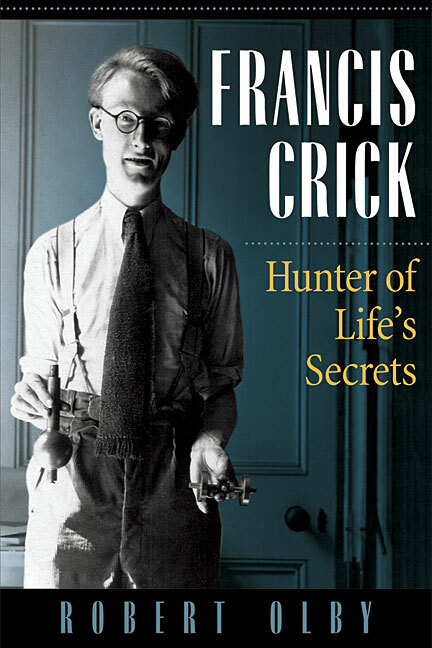 This engrossing biography by one of molecular biologys foremost scholars reveals the remarkable evolution of Francis Cricks scientific career and the shaping of his personality. From unpromising beginnings, he became a vital contributor to a remarkably creative period in science. Olby chronicles Cricks life from his early studies in biophysics, to the discovery of the structure of DNA, to his later work in neuroscience and the nature of consciousness. This account is woven together with insights into his personal life gained through access to Cricks papers, family, and friends. Robert Olbys book is a richly detailed portrait of one of the great scientists of our time. About the author: Robert Olby, a prominent historian of science, is research professor in the Department of History and Philosophy of Science at the University of Pittsburgh and author of the highly regarded Origins of Mendelism (1966, 1985) and The Path to the Double Helix (1974, 1994). He has published and lectured widely on 19th and 20th century topics in biology, genetics, and molecular biology. Olby is a member of the History of Science Society and the International Academy of the History of Science. 9. A Most Important Discovery?